Agricultural Law: What are agricultural cooperatives? Cooperatives are user-driven businesses that have contributed greatly to the development of one of the world's most productive and scientific-based agricultural systems. They have played an important role in strengthening market access and competitive returns for independent farmers during the 20th century... Cooperatives have also played an important role in rural communities, where they are an integral part of the social fabric. They encourage democratic decision making processes, leadership development and education. Cooperative[s] [are] organization[s] established by individuals to provide themselves with goods and services or to produce and dispose of the products of their labor. The means of production and distribution are those owned in common and the earnings revert to the members, not on the basis of their investment in the enterprise but in proportion to their patronage or personal participation in it. Subordination of capital -- In businesses organized as corporations, persons who invest money (i.e., capital) in the business receive profits from the corporation and control the corporation. At least in theory, investors (i.e., shareholders) control corporations. Investors vote annually for directors, and these directors oversee the corporation to ensure that the corporation is manages in the best interest of investors. In contrast, in businesses organized as cooperatives, the amount of money a person invests in the business determines neither the person's profits nor the person's control. Democratic control by farmer members -- Each member of an agricultural cooperative has an equal voice in the control of the cooperative. Each has an equal voice in determining how the cooperative is managed. Not for-profit -- Cooperatives are run for the benefit of farmer members and do not earn profits. Any income received by agricultural cooperatives in excess of costs is paid to farmer members, in proportion to the amount of business that each farmer member does with the cooperatives. Puget Sound Plywood, 44 T.C. at 308. To form a cooperative, persons must file articles of incorporation and agree to comply with state requirements for cooperatives. Although state requirements for cooperatives vary by jurisdiction, the requirements are generally consistent with the three aforementioned principles. 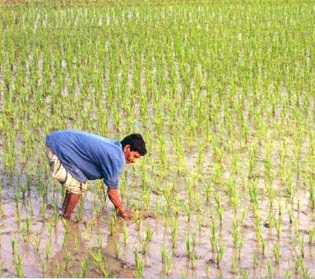 There are a variety of types of agricultural cooperatives. Supply cooperatives are businesses that sell inputs (e.g., seed, fertilizer, etc.) to farmers. Marketing cooperatives are businesses that provide processing or packing services for farmers (e.g., produce milk, cheese, yogurt and other dairy products for dairy farmers). Marketing cooperatives can also advertise farmers' products and engage in collective bargaining on behalf of a group of farmers. There has been a trend of agricultural cooperatives merging and forming increasingly larger cooperatives that provide a variety of services for members (e.g., Cenex-Land O'Lakes, Dairy Farmers of America, and Farmers Cooperative Company). Farmers decide to join agricultural cooperatives for several reasons. First, by joining agricultural cooperatives, farmers may be able to increase their profits. Without agricultural cooperatives, farmers have very little market power and receive only a small fraction of each dollar that consumers spend on food. With agricultural cooperatives, farmers can, in theory, acquire greater market power and receive a greater fraction of each dollar that consumers spend on food. Second, by joining agricultural cooperatives, farmers can avoid dealing with for-profit input providers, packers, and processors. For-profit input providers, packers, and processors have substantially greater bargaining power than farmers and can often dictate the terms under which they will sell to or buy from farmers. Farmers will be more likely to receive fair terms when dealing with agricultural cooperatives than when dealing with for-profit corporations. Third, by joining agricultural cooperatives, independent farmers ensure that they have willing buyers and sellers to do business with. Independent farmers often have a difficult time finding willing buyers and sellers with whom to conduct business. Willing buyers and sellers for independent producers are in short supply both because input providers, packers, and processors have been merging and because input providers, packers, and processors have been conducting an increasing proportion of their business with contract farmers. Let me add something to your interesting message on cooperatives. It is true that cooperatives are non for profit type of organization. But it is also a very stable type of organization because it has the obligation to create, maintain and increase a reserve. Therefore, only part of the profits are distributed to its members. It allows the cooperative to grow and invest in matter related to its objects.